This event will be LIVE-STREAMED via Haymarket Books on Facebook Live! Beginning at 7:00 PM CDT from Chicago's Auditorium Theatre. Use #RESIST to join the conversation via Facebook, Twitter, and Instagram! $6 GA tickets purchased through the Auditorium Theatre of Roosevelt University's box office are required for entry. Pre-sale tickets are sold out, but there will be some tickets available at the door starting at 6:00 PM. Stream live via Haymarket Books on Facebook! 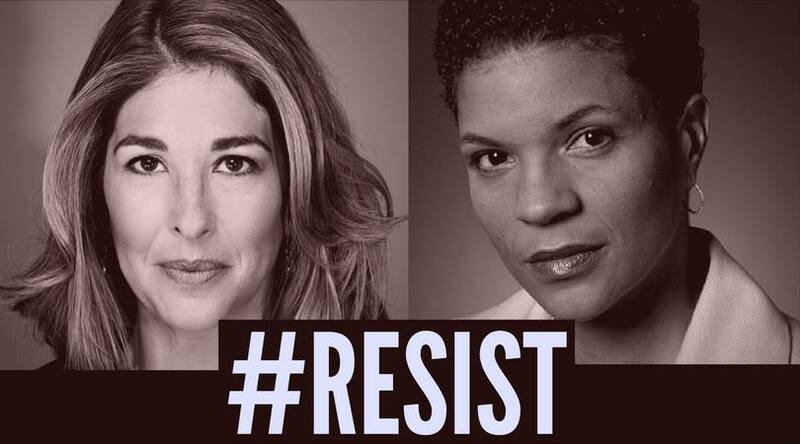 Join Michelle Alexander and Naomi Klein for a wide-ranging conversation about the connections between ecological and economic crisis, racism, mass incarceration, deportation and police violence, and the potential power of mass movements of ordinary people to articulate and fight for an alternative. Presented by Haymarket Books and Lannan Foundation. Michelle Alexander is a highly acclaimed civil rights lawyer, advocate, and legal scholar. Her bestselling book The New Jim Crow won numerous awards, including the NAACP Image Award for Best Nonfiction Book. She is currently a visiting professor at the Union Theological Seminary in New York. Naomi Klein is an award-winning journalist, syndicated columnist, and author of the international bestsellers No Logo, The Shock Doctrine, and This Changes Everything: Capitalism vs. the Climate. In 2017 she joined The Intercept as Senior Correspondent. Keeanga-Yamahtta Taylor is assistant professor in the department of African American Studies at Princeton University and the author of From#BlackLivesMatter to Black Liberation.